But – I was disappointed by TWP. While reading the other three books in the series, I was eager to get back into the story on my lunch breaks and before bed. I didn’t necessarily feel this way with TWP. I find it hard to believe that Elizabeth of York apparently “grows to love’ Henry VII – a man who, as Gregory has fictionalized, raped Elizabeth while they were betrothed. A man who was her family’s enemy. A man who is cold and suspicious of her throughout the entire novel. I found myself getting so fed up of Henry’s constant accusations of Elizabeth, and whether that was on purpose to make the reader feel how Elizabeth felt, I don’t know. But it was off putting. There were parts that I enjoyed. Perhaps the most interesting part of the book was when “the boy” and Katherine Huntly come to court – but that happens in the last third! And then the book just kind of ends abruptly. I won’t tell anyone to avoid this book because I believe everyone has different tastes. 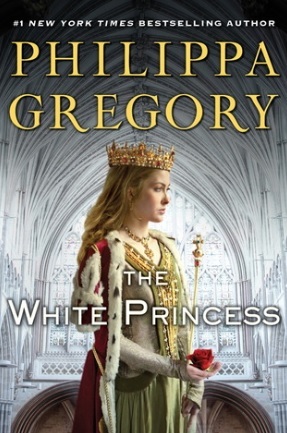 But from a prose and structure point of view – Philippa Gregory has proved she can do better. Maybe there were pressures from her publishing house to complete a new book in a smaller time frame. Even the cover image doesn’t seem up to par with the others. Because I know Gregory can do better, I’m going to chalk TWP up to the money-hungry/business end of all this.